This topic contains 2 replies, has 1 voice, and was last updated by Keith Taylor 5 months, 1 week ago. I’ve published the first installment at Help The Doctor Fix Your Gout. It’s an overview of the whole process and I will start work on the details for each of the 3 themes. The current version of the Interactive map is here. It’s simple at the moment, but I intend to grow it as I publish more articles in the series. I’ve just published the details of the first theme referred to as “Processes” in the map above. 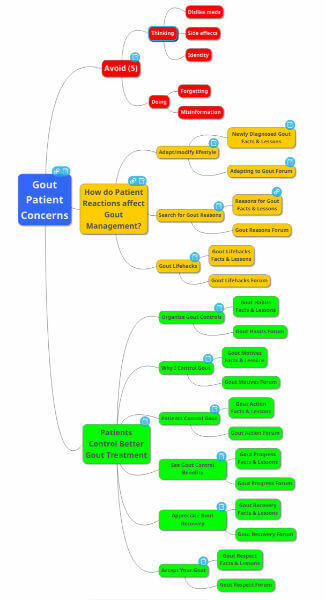 So, I’d love to know your opinions about How do Patient Reactions affect Gout Management?